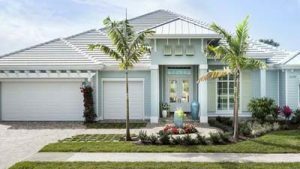 Naples Reserve is one of Naples newest planned developments offering a waterfront resort lifestyle. 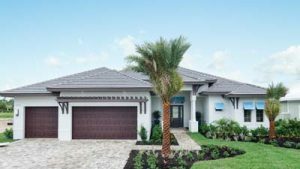 At buildout, the community will have 11 neighborhoods integrated with 22 lakes in South Naples. Bordered by the Picayune Strand State Forest ensures a private, natural sanctuary for 688-acre communities residents. 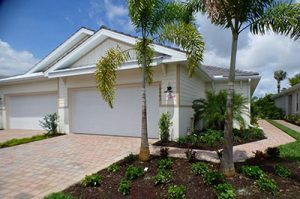 Coral Harbor features beautiful low maintenance attached villas being built by D.R. Horton. They are located directly across from the tennis and pickleball center. 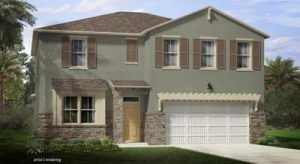 Mallard Point is being built by Ashton Woods and offers secluded lake and nature preserve views. 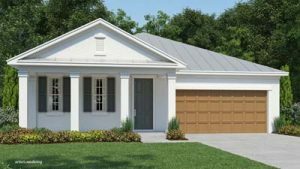 These single-family homes start in the mid $300s and offer floorplans with up to 2200 sqft. Egret Landing is being built by Ashton Woods and D.R. Horton and start in the low $300s. 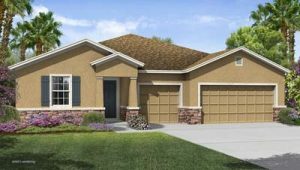 These single-family homes feature wide lake and garden views and over 3100 sqft. of living space. 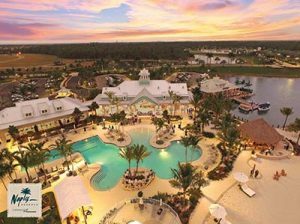 Savannah Lakes is another D.R. Horton and Ashton Woods build. 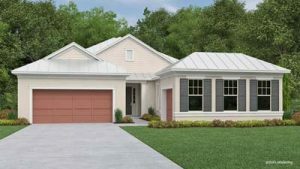 Surrounded by four lakes, Savannah Lakes offers the best single-family homes right on the water. 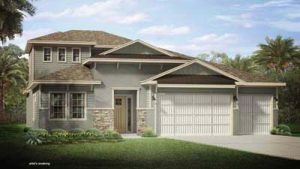 This elegant community includes homes with up to 3200 sqft. and prices starting in the high $300s. 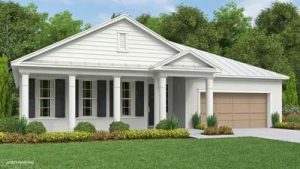 Sparrow Cay is being built by Ashton Woods and Stock Signature Homes. 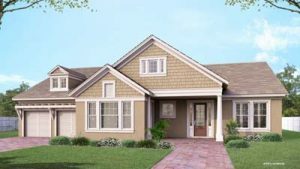 These single-family homes encompass up to 3520 sqft. 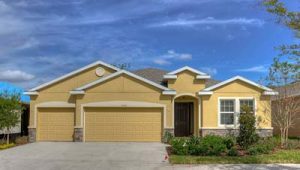 of living space and begin in the mid $400s. 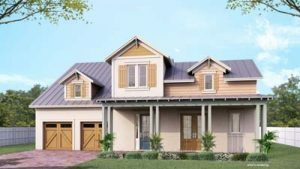 Parrot Cay is an exquisite lakefront custom home neighborhood overlooking the 125-acre recreational lake. 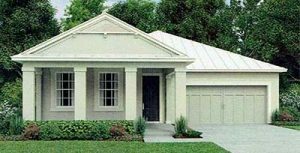 Oversized estate home sites are available, many with the opportunity for a private dock. 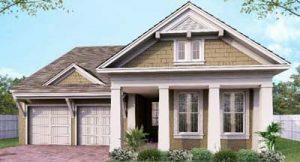 The custom homes range in size from 2811 to over 3507 sqft. and are priced from the high $700s. 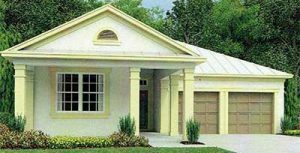 The HOA fees are remarkably low and the costs of the secured gated entrance are included. D.R. 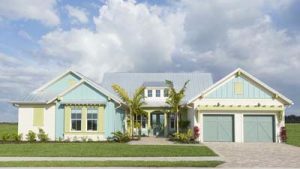 Horton is building the low maintenance twin villas in the Coral Harbor neighborhood. 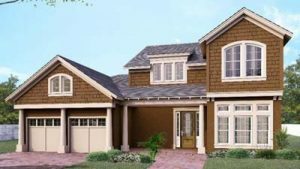 Located directly across from the Match Point Tennis Center, many residents will enjoy water views. 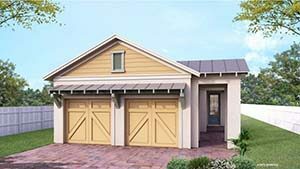 All twin villas are 1 story and offer 2 bedrooms, 2 baths, great room, den, lanai and two-car garage. 1519 sqft under air, 2109 total sqft. 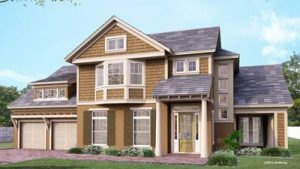 Ashton Woods is building Mallard Point, a neighborhood of secluded lake and nature preserve views. 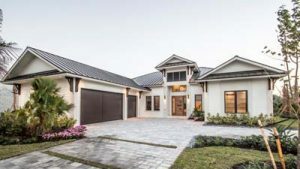 Homes in Mallard Point offer the best new-construction lakefront values in Naples. 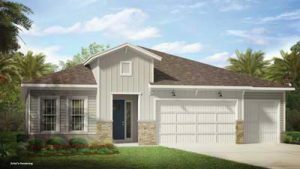 The homes start in the $360s and offer floor plans with up to 2,200 sq.ft. Egret Landing being built by Ashton Woods and D.R. Horton, offer wide lake and garden views. 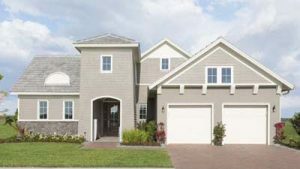 Featuring single-family homes with up to 3100 SqFt of living space, they are some of the best lake front homes for sale. Pricing starts in the mid $300s. 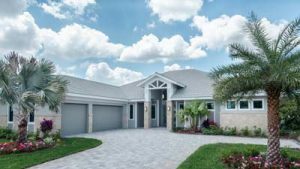 The Savannah Lakes neighborhood is being built by D.R. Horton and Ashton Woods. 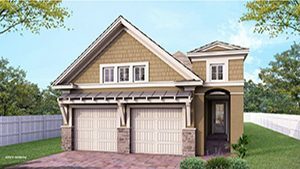 This elegant community includes homes with up to 3,200 sqft and is surrounded by four lakes. Prices start in the low $400s. 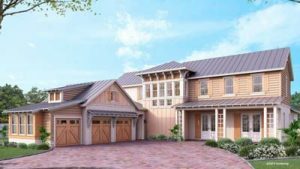 Sparrow Cay is being built by Ashton Woods and Stock Signature Homes. 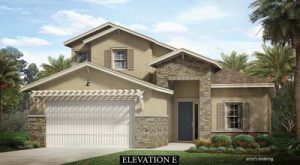 These homes encompass up to 3,520 sqft of living space and begin at just under $500,000. 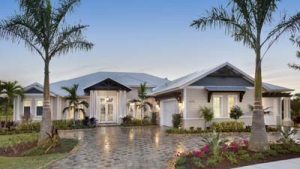 Parrot Cay is an exquisite lakefront custom home neighborhood overlooking the 125-acre recreational lake, the new Island Club, and Kon-Tiki Island. 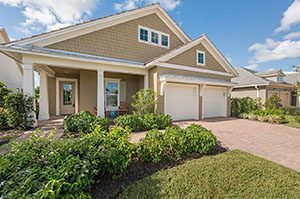 Oversized estate home sites are available, many with the opportunity for a private dock. 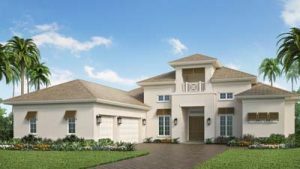 The custom homes in Parrot Cay range in size from 2,811 to over 3,507 sqft and are priced just under $800,000. 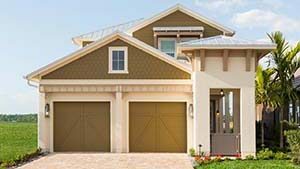 Naples Reserve epitomizes the casual Florida lifestyle. The Island Club features a state-of-the-art Fitness Center with top-rated equipment, a lagoon-style pool, and a lap pool. Socialize at the Chat-n-Chill Tiki Bar and indulge in something tasty at Latitudes Café. There’s also a lakeside firepit and beach volleyball. The Outrigger Activities Center is on the 125-acre Eagle Lake. Take your own boat, on the community-owned Tranquility Duffy boat for cocktails on KonTiki Island. Match Point Tennis Center boasts five Har-Tru tennis courts, four pickleball courts, and even bocce ball. Located near the tennis center is the “Walk & Wag” dog park. 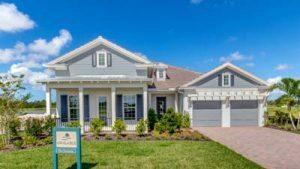 Naples Reserve is adjacent to the Picayune Strand State Forest and it’s home to miles and miles of cycling and walking trails. 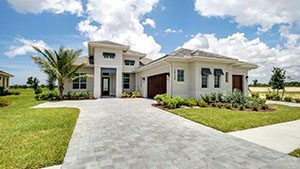 For additional information about real estate opportunities at Naples Reserve, please complete the form below! I or one of my team members will respond to you within one business day.